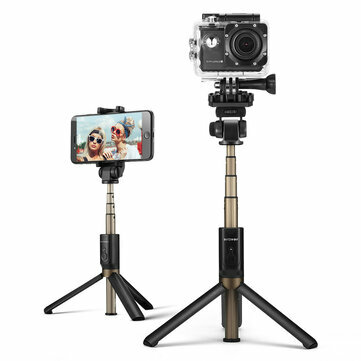 *New version BlitzWolf BW-BS3 Sports versatile 3 in 1 bluetooth tripod selfie sticks not only apply to most 3.5~6.0 inches smart phones but also add (smart phone holder switch to) 1/4 camera mount (adapter) holder compatible with most digital camera,sport camera,VR camera,DV, mini DLP Projector and other 1/4 screw mount devices etc. 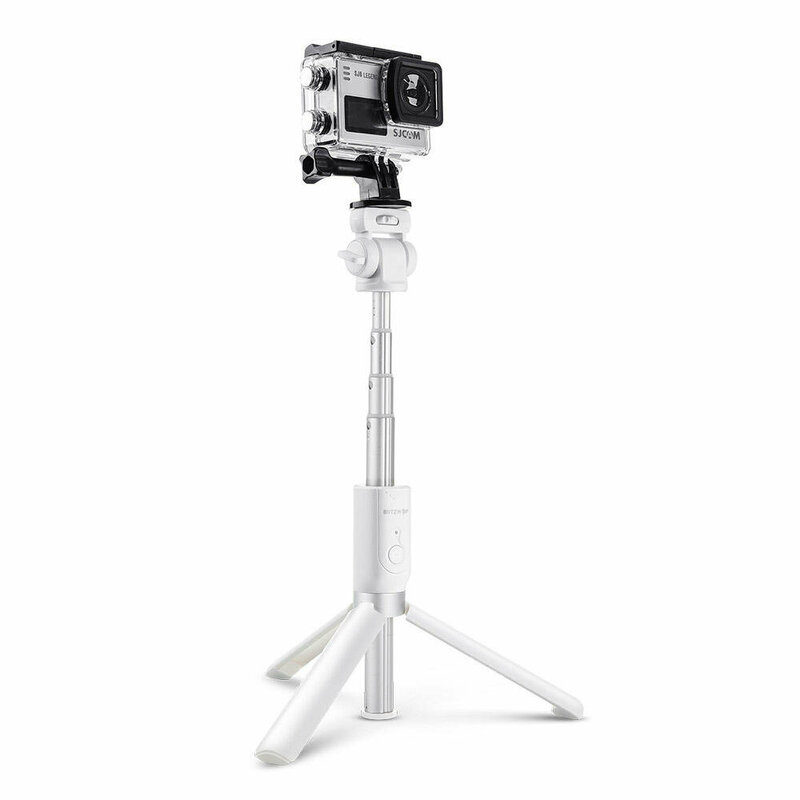 *If your sport camera like GoPro (Hero 1-6, Session ) has not 1/4 screw mount, you can buy a 1/4 screw adapter (click here) to fix BS3 Sports selfie sticks. with most digital camera,sport camera,VR camera,DV, mini DLP Projector etc. press the button to capture a shot. The included 65mAh rechargeable battery can capture up to 50000 selfies. 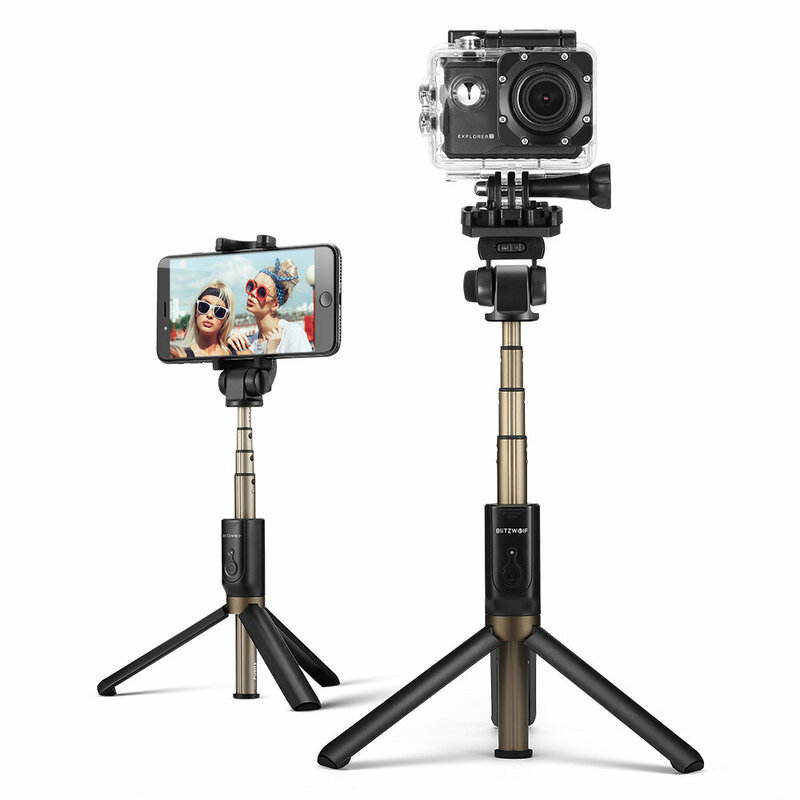 The head of the selfie stick can rotate a full 360 degrees for capturing the perfect shot. The clamp can also be rotate up to 203 degrees.